Aubrey and Calvin’s wedding at the breathtaking 50-acre Clark Gardens in Weatherford, TX was a soft and romantic affair with the bride in a lace Modern Trousseau. 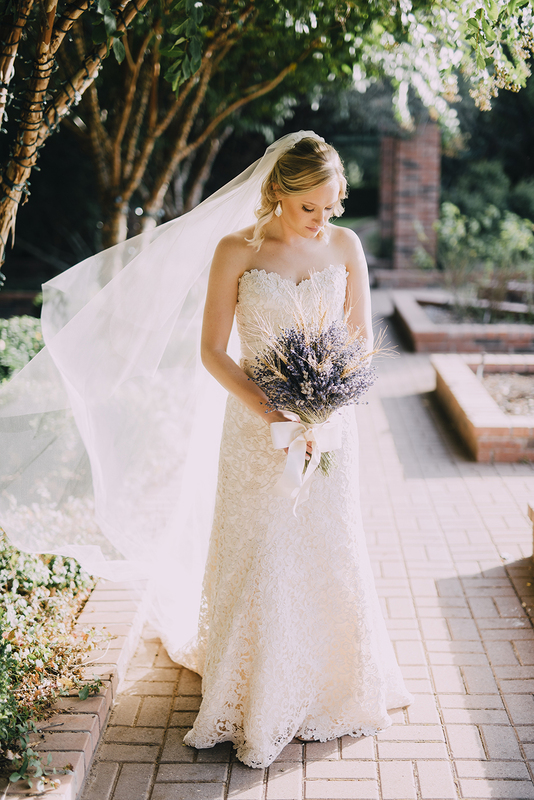 Her gown paired perfectly with her bouquet of lavender and wheat; lending an air of pastoral elegance to her timeless look. We’re especially loving the lanterns hanging in the reception tent, and the cake table across the antique barrels! Decor: Lavender and wheat from my father's wheat field in Limon, CO.